I’m sure he’s a great guy. I bet I could talk to him over a beer and enjoy his company, as long as he’d pay. And I’d venture to guess that he’s morally a decent human being. But man, I just don’t like him. Blame it on my Steeler fandom, I guess. When Joe Flacco is put into conversation with top quarterbacks in the league, a part of me wants to shrivel up and die (not really). I just don’t get it. I don’t get it at all. Outside of Saturday, and I’ll get to that, what has Joe Flacco done for you, Baltimore? Has he given you a 4,000-yard passing season like 11 other quarterbacks did in 2012? Has he given you a respectable completion percentage over the course of a season? Has he, most importantly, gotten your team to the Super Bowl after making the playoffs in each of his first five seasons? Before I go any further, I realize that this is a fantasy website. I’ll most definitely get into his fantasy impact. For now, however, we have to look at what Joe Flacco is as a quarterback in the NFL. And to me, it’s obvious: He’s just above average. “How can he barely be better than the norm when he has the most road playoff wins in NFL history, has led Baltimore to the playoffs in each of his five seasons and has thrice gotten the Ravens to the AFC Championship Game?” you ask. Well, the answer to that question is actually what makes the question invalid. Aside from Saturday’s game against Denver, he didn’t get the Ravens to those conference championship games. He was just kind of…there. Game managers are fine in the NFL, and that’s what Joe Flacco has historically been. That’s fine. My disdain towards Flacco has to do with the media’s perception of the Ravens quarterback. It’s far too overblown. Don’t believe me? Just look here, here and here. Baltimore Ravens quarterback Joe Flacco may be erratic at times, but when he’s on, there may be no better player in the league when it comes to pure arm talent. Against the Broncos he was near-flawless, something that has to concern whoever wins Sunday’s Texans-Pats matchup. If Joe Flacco’s performance against Denver is when he’s “on”, then I don’t want a quarterback that’s ever on. He finished with a completion percentage just over 50%, and, whether you want to agree or not, his 331 yards and 3 touchdowns are skewed by a miraculous, atrociously defended 70-yard touchdown at the end of the game. Don’t get me wrong, Flacco played great against Denver. His throw in the end zone to Dennis Pitta on a late third down was masterful, and his first touchdown pass to Torrey Smith was right on the money. To call his arm talent potentially better than any other in the league though? Even if the word potential is in that sentence, that’s still a little laughable, isn’t it? Numbers will never tell the whole story. They’re still an important factor to look at while analyzing a players’ performance, though. Through 5 regular seasons in the NFL, Joe Flacco has a completion percentage just above 60%, 102 touchdowns and 52 interceptions. He finished 2012 with the highest yardage total of his career, 3,817, on 531 attempts. His 7.19 yards per attempt average ranked 14th in the NFL. I think it’s fair to say that his numbers since entering the league have been middle-of-the-road. One of the bigger knocks on Flacco is his inability to perform on the road. And, typically, we see good road wins by the elite quarterbacks in the league. His record outside of Baltimore over his first five seasons is 21-19, while his home record is an incredible 33-7. His quarterback rating during road games (80) is a whole 12 points lower than it is at home (92). That discrepancy is one of the highest in the NFL. Now, contrary to how he’s done on the road during the regular season, Flacco has actually done all right record-wise in the playoffs away from home. As noted above, he’s now tied Eli Manning for the most road wins by a quarterback in the playoffs. That, no matter what the numbers say, is impressive. Keep in mind, the Ravens have played just two games at home in the playoffs with Flacco under center. His playoff numbers do shed some light to the overall situation, however. Including the game against Denver this weekend, Flacco has 9 touchdowns to 8 picks in 9 road games (He has 4 touchdowns to 0 interceptions in home games). While his last three road playoff games have yielded a quarterback rating of 95 or better, his earlier playoff games were borderline disastrous, especially when he faced division rival Pittsburgh. That leads us to ask: Were the five wins because of his play? I’d say, and you can disagree slightly if you’d like, given the way his playoff games have played out, the Denver matchup was the only one where the game was won on his shoulders. And, as we all know, it was barely a victory. The Baltimore signal caller’s best attribute is his arm strength. Because he’s got an arm that can sling the ball 65 yards downfield, experts generally feature Joe Flacco as a great deep ball thrower. That, however, isn’t necessarily true. According to Pro Football Focus, Flacco attempted 92 passes in 2012 that went further than 20 yards. The number of attempts was second in the league to only Andrew Luck. The result? He finished with 35 completions on those 92 attempts, 11 touchdowns, and not a single interception. He appears to be solid as a rock when throwing the deep ball, especially when you consider his touchdown to interception ratio, but his completion percentage on these types of throws ranks 18th in the entire NFL. That’s worse than Ryan Tannehill, Philip Rivers, Jake Locker and Sam Bradford. Yikes. Is his moderately low completion percentage due to his receivers play? No, not at all. In fact, only 6 NFL quarterbacks had fewer dropped deep balls than Joe Flacco did in 2012. And of those quarterbacks, none of them threw deep passes more than 56 times. In other words, the rate that Baltimore’s receivers were catching the deep ball was pretty incredible this season. Flacco’s touchdown to interception ratio on long balls is what makes his value appear to be elite. It’s a fair argument to make. When you look at other passers around the league in 2012, Flacco was the only one to not throw a pick on a deep pass. I don’t think his touchdown mark is all that impressive, however. I mean, Brandon Weeden threw 9 deep touchdowns this season (thanks, Josh Gordon) on just 56 deep ball attempts. Russell Wilson had 9 scores on 64 of them. Flacco’s rate of 11 touchdowns on 92 deep pass attempts was actually pretty average. What all of this tells me is that Joe Flacco indeed has the arm strength to get the ball downfield, but most of the time, he overshoots his receivers (How do you overshoot Torrey Smith?). The fact that he never got picked off tells me that he’s smart with the deep ball (hey, there’s a compliment! ), using his arm strength to get the ball there, but that doesn’t necessarily mean he’s good at throwing it. Just look at his completion percentage and who he’s throwing to. Coming into 2012, Joe Flacco had a pretty standard rate when it came to game-winning drives and 4th quarter comebacks. Flacco won just 6 of the 16 games when his team trailed by 1-8 points in the fourth quarter, and when we factor in games that were tied, such as contests that go into overtime, Flacco’s record was 11-17. Tom Brady, Peyton Manning, Matt Ryan, Eli Manning, Ben Roethlisberger, Jay Cutler, Matthew Stafford, Josh Freeman, Mark Sanchez, Drew Brees, Alex Smith and Matt Hasselbeck each had better records than Flacco in crunch time heading into 2012. There’s some perspective. In 2012, Flacco continued his “meh” comeback performances. New England, San Diego and Cleveland all resulted in 4th quarter comebacks, and his recent playoff game in Denver did as well. However, Flacco lost an overtime game to Washington, and a very close contest to the Charlie Batch-led Steelers. His 7-4 playoff record, from the outside, makes him look like a very clutch quarterback. His 0-2 record in Conference Championship games, however, makes him look like just another Mark Sanchez. His 2011 Championship game in New England proved to be both solid and unlucky for Flacco. He completed over 61% of his passes and had a quarterback rating of 95.4, but of course, the team lost dramatically. And while so many Ravens fans will pinpoint the Billy Cundiff missed field goal as the reason Baltimore didn’t make a trip to the Super Bowl in 2011, they fail to understand that Joe Flacco would have gone to overtime against Tom Brady. You know, Tom Brady – the quarterback with the best record in close games in the entire NFL. That’s no gimme. Joe Flacco has never, ever been on my fantasy radar. His week-to-week fluctuations are frightening, and his cumulative consistency from season to season has shown no sign of startable, QB1 numbers. He’s a weekly waiver wire fill-in, and that’s all. I wouldn’t expect much more unless something drastic happens. His deep ball percentage (pass attempts greater than 20 yards divided by overall pass attempts) is the highest in the NFL, and because of that, you’re going to get a “go big or go home” fantasy player. Just take a look at his numbers from this season and you’ll see just that. He scored 15 or fewer standard fantasy points in 10 of his 15 full games played, but scored 25 or more points in 3 separate contests. His 2013 outlook should be similar. Given the number of quality quarterbacks to choose from in next year’s fantasy draft, Flacco should be nothing more than a backup player, even in deeper leagues. I’d expect Flacco, in 2013, to be anywhere between a QB15 – QB20. If Flacco and the Ravens shock the world again this weekend, it will have to be because Joe Flacco played another respectable game. Even if they don’t win, we have to give him and the team credit for their toughness and relentless way of continuously getting back to the Conference Championship since Flacco entered the league (another compliment!). It would be a mistake for the Ravens to get rid of Flacco this off-season. It wasn’t his performance against Denver that makes me believe that, either. 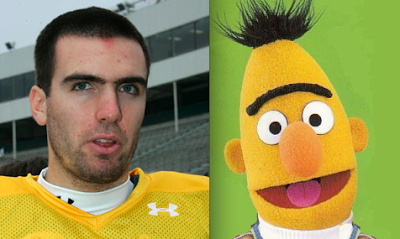 Regardless of how negative I am towards the Bert lookalike, he’s been the quarterback of a team that has now reached three Conference Championships in five years. To replace something that is working, albeit without a Super Bowl appearance, would be idiotic. And it’s not like they’d be able to replace him with anything worthwhile. With this, I still see Joe Flacco as nothing better than barely exceeding a regular quarterback choice. Are there options at the position that are worse? Most definitely. I’d be happy to have Joe Flacco if I pulled for the Raiders, Jags, Browns or Jets (and many others). But with a new wave of quarterbacks entering the league, I’d be willing to bet that Joe Flacco’s stock remains constant or dips, even if he develops a better game or gets to the Super Bowl. The facts above are the main reasons why. My overall dislike of Joe Flacco is at an all-time high right now. It’s not just because of my undying Steelers love, either. It’s because of the people. It’s because so many people in the media – so many fans on Twitter – are continuously flip-flopping their general beliefs surrounding him. 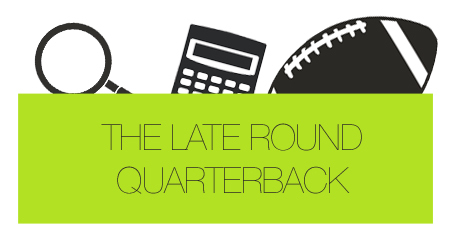 His play has created some awkward fantasy where he is, at times, an elite quarterback in the minds of many. But why? To me, it should never be about one game. It should never be about one game-winning drive. It’s not about a snippet of a career, but rather the whole entire thing. And folks, Joe Flacco’s play, over the course of his career and even in 2012, hasn’t been close to elite. Deal with it.